My name is Magdalena De Stefani and I’m a former MEd ELT and PhD candidate. I was born in Montevideo, Uruguay in 1977, and obtained my Diploma in TEFL in my home country in 1997. My first contact with Manchester was when I started my (Distance) MEd in ELT in 2000, which I finished in 2005. Back in my MEd times my main interest was the acquisition and L1-L2 transfer of reading skills, and that was the focus of my mixed-methods dissertation. Then came the PhD times, which I remember fondly. I started my PhD in 2007 and finished by the end of 2012. When I started thinking of applying for a PhD I was working (as a teacher educator) with teachers in provincial and rural areas of my country. As I learned about how different their teaching realities were from my own as a ‘capital-city’ teacher, I became interested in doing research on ways of implementing a Continuous Professional Development programme that would facilitate inter-provincial contact and make empowerment available to these teachers. Based on the work of Kumaravadivelu (2006) I set up an action research project to explore, together with participating teachers, the possibilities for empowerment a blended CPD programme could offer. This exploration of how technology could contribute to teacher empowerment became the topic of my PhD research. At the beginning of my doctoral studies (mostly during the initial stages of research training), I fell in love with action research and have been a keen action researcher ever since. It was also during my doctorate that I discovered Cooperative Development (Edge 2002), which I not only used as a technique to enhance reflexivity in my research, but which I have also been applying ever since in my practice as teacher educator and manager. Another very significant link with the University was the Computer-Mediated Intercultural Communication project I was involved in from 2006 to 2010/2011, in collaboration with Richard Fay, Diane Slaouti and Susan Brown, among other colleagues from Universities around the world. This was a wonderful opportunity for me to learn more about and take part in the research being conducted at the University. I have also worked in close collaboration with two other PhD alumni and friends, Paul Breen and Achilleas Kostoulas, based in London and Ioannina respectively. This is just one example of the many socio-academic links that have made me feel part of this family. In terms of how my career evolved after completing my PhD, I can happily say it has opened many doors. 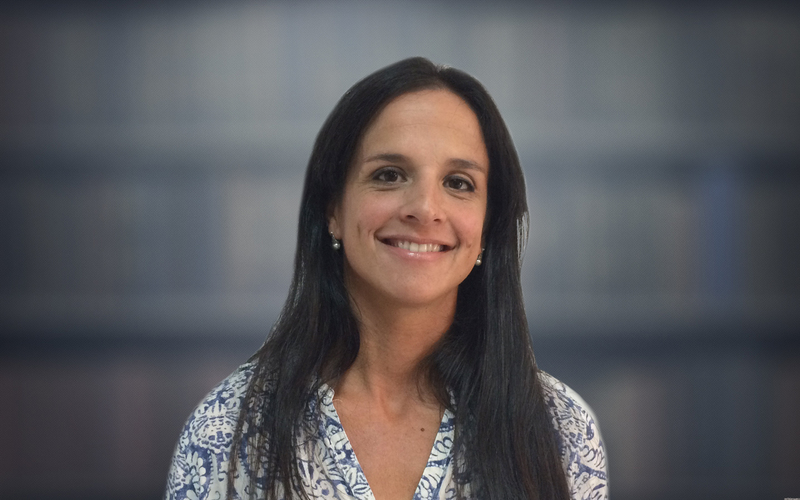 I am currently Head of Preschool and Primary at a bilingual school in Uruguay (www.ivythomas.edu.uy), as well as a Lecturer in Research Methods at Universidad ORT Uruguay (www.ort.edu.uy). I am also a mentor for the British Council’s Action Research Award Scheme in Latin America, which means I am in charge of supervising two action research projects in Uruguay which have, together with other four projects from Brazil, Argentina, Chile and Colombia, won a 4000 GBP award to be spent on their research. Finally, since 2013 I have also been a member of the Uruguayan national network of investigators (Sistema Nacional de Investigadores, www.anii.org.uy). De Stefani M, Fay R, Katsarska M, Brown S, Slaouti D & Berasain M (2007) ‘Internationalising the curricula: exploring and developing cultural awareness through Computer-Mediated Intercultural Communication’ Anglo Congress, Montevideo, August 2007. Fay R, Katsarska M, Brown S, Slaouti D & De Stefani M (2007) ‘Reshaping the Learning Experience: Collaboratively Embedding Intercultural e-Experience into Conventional F2F Programmes’ ICODL 2007, 4th International Conference on Open and Distance Learning, Greece, Athens, November 2007. De Stefani M, Berasain M, Fay R, Katsarska M, Brown S & Slaouti D (2008) ‘Student perceptions regarding the interpersonal and transactional nature of Computer-Mediated Intercultural Communication: case-study research’ INTED Congress 2008, Spain, Valencia, March 2008. De Stefani M & Berasain M (2008) ‘Reconceptualising Teacher Development: A reflective, context-based, collaborative action research approach’ Anglo Congress, Montevideo, August 2008. Fay R, Katsarska M & De Stefani M (2008) ‘Academic Experience Towards Global Citizenship: Positional Narratives of Computer-Mediated Intercultural Communication’ SIETAR Global, Spain, Granada, October 2008. De Stefani M & Berasain M (2009) ‘How to integrate ICT into a language course: the power of blended learning’ Anglo Congress, Montevideo, August 2009. De Stefani M (2009) ‘Conceptualising the design of a blended programme for language teachers in provincial Uruguay’ Association for Learning Technology (ALT-C) Conference, Manchester, UK, September 2009. Berasain M, De Stefani M, Fay R & Katsarska M (2009) ‘Student perspectives on the role of language in Computer-Mediated Intercultural Communication’ LABCI Conference, Buenos Aires, Argentina, September 2009. De Stefani M (2010) ‘Lessons for a teacher educator from in-service teacher learners’ Online Futures Festival, University of Leicester, UK, January 2010. “Teaching in secondary school with Moodle: An action research project in provincial Uruguay”. Paper presented at URUTESOL Biennial Convention, Montevideo, Uruguay, April 8th -10th, 2011. De Stefani M (2011) ’Teaching in secondary school with Moodle: Reflecting on the unpredictability of inquiry’. Student LTE Conference, University of Manchester, UK, 3 June 2011. De Stefani M (2011) ‘Empowering TESOL teachers in provincial Uruguay: The power of blended learning’. New Directions in the Humanities conference, 8-11 June 2011, Campus La Cartuja, Universidad de Granada, Spain. De Stefani M (2011) ‘Empowering TESOL teachers in provincial Uruguay: The power of blended learning’. The International Journal of the Humanities. Berasain MI, De Stefani M & Balsa JM (2013) ‘iTeaching and iLearning: Using iPads and tablets in the 21st century classroom’. Anglo Congress, Montevideo, August 2013. Aguerrondo I, Vaillant D, De Stefani M & Azpiroz M (2014) ‘Perspectivas para lograr mejores oportunidades de aprendizaje para niños, niñas, adolescentes y jóvenes en América Latina y el Caribe’, UNICEF. De Stefani M (2014) ‘Challenging traditions: Constructing an identity through innovative teaching practices’, Cases on Teacher Identity, Diversity, and Cognition in Higher Education, IGI Global. Later: I think Ben Gray – another alumnus interested in the in-context route may join in on this discussion too …. I’ve read your blog with great interest, like the other blogs here. You mentioned CD – I discovered it last semester while doing a course with Julian and it was interesting to read that you have been using it to enhance reflexivity in your research. I think it has some good research potential and suggested it in my proposal as a promising research angle. It looks more and more like I’m finally starting a PhD programme this September – in-context, like you and Achilleas, so there are plenty of questions I’d like to ask you (I’ve been bombarding Achilleas with tonnes of them so far! ), particularly in regard to the initial research training – what modules, with whom, how long, etc. did you take, for instance? I know your experience has probably been different from Achilleas and mine will most likely be different still, but any comments would be useful and helpful. I have now started this Discussion Topic for us all. Count me in 🙂 Perhaps we should start a separate thread. The reflexive/reflective sounds a good starting point to me and maybe Juup can share what he has been able to distentangle so far? I also think reflexivity is a very complex concept, and many people take it for granted that they understand what it means. I’ve come across a few of these simplistic references in the literature. I’m not very sure I understand it all that well but I guess that’s the beauty of it! It’s a process of increasing understanding – as I understand myself better, I also get a better idea of its scope. Just a line to join in with Magdalena’s reference to the use of Cooperative Development. It has been very interesting to use the framework in the context of our work together, exploring the concept of reflexivity and its effects. It has also helped me see the extent to which reflexivity is built into the whole Cooperative Development approach to an extent that I hadn’t seen before. Mostly, I guess, it is to do with enhanced awareness. I shape and I am shaped anyway, that’s what living is like, but when one takes time out of the cut and thrust of everyday discourse and works with someone whose purpose is to help you better understand yourself-in-context, then it becomes more likely that you will discern more of the shaping constraints and the shapable affordances than you otherwise might. La lucha continua. I met Richard up in Manchester last week and I have promised to get my profile on here soon. I hope all is well.